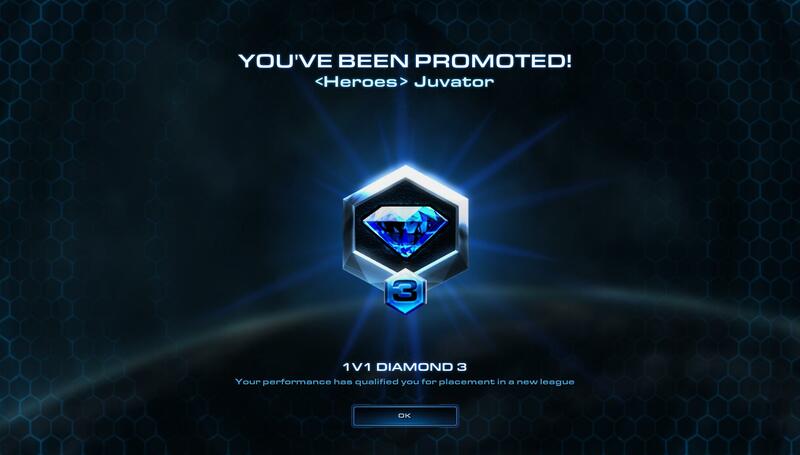 d2jsp Forums > Starcraft I & II > Continuation Of My Starcraft Topic > I Actually Finally Got Promoted! It turns out I could probably have gotten it much sooner haha. but I've had an operation on my left hand as well which caused me to not be able to play for while. And then other stuff came up and well you know how it goes. I'm currently trying to get the other 2 races to Diamond as well before I continue seriously with zerg I think. I want to get some more knowledge about the other races and experience what it is like to play against zerg from their perspective and such. My terran and Protoss are both around low platinum atm. you wanna play some team with me? i am diamond 2 protoss :-) would need to get in shape!